Hey y'all, it's Kristin from School and the City. 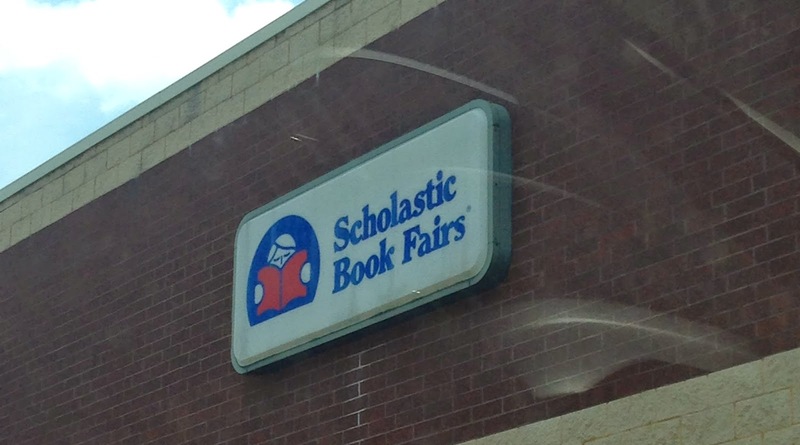 time for the Scholastic Warehouse Sale!!!!!! If you have never been to a warehouse sale, YOU MUST GO. 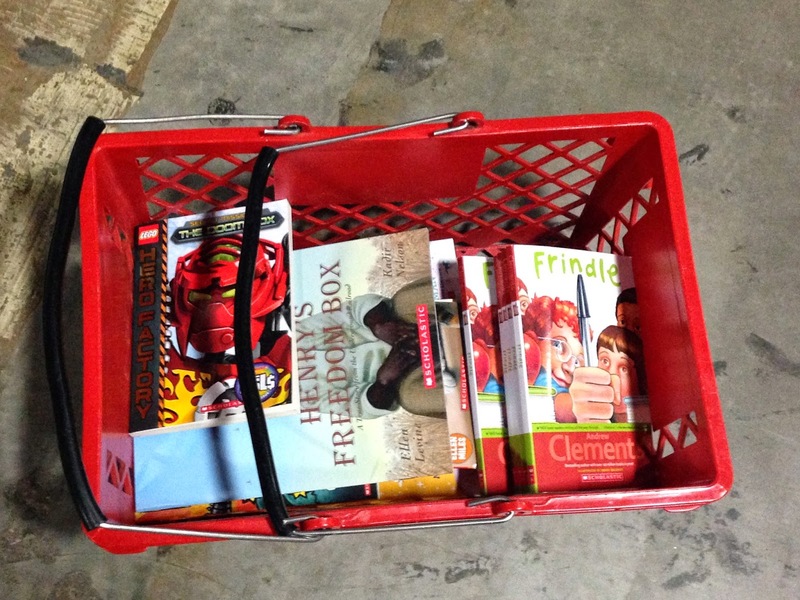 It is the perfect way to build your classroom library somewhat affordably. Shopping at a warehouse sale is no easy feat! 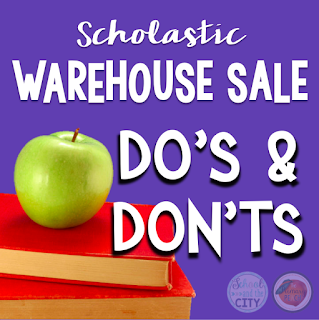 I've shared some warehouse sale tips on my own blog before, but I thought the topic was definitely worth revisiting since the biggest book sale of the year is just around the corner. 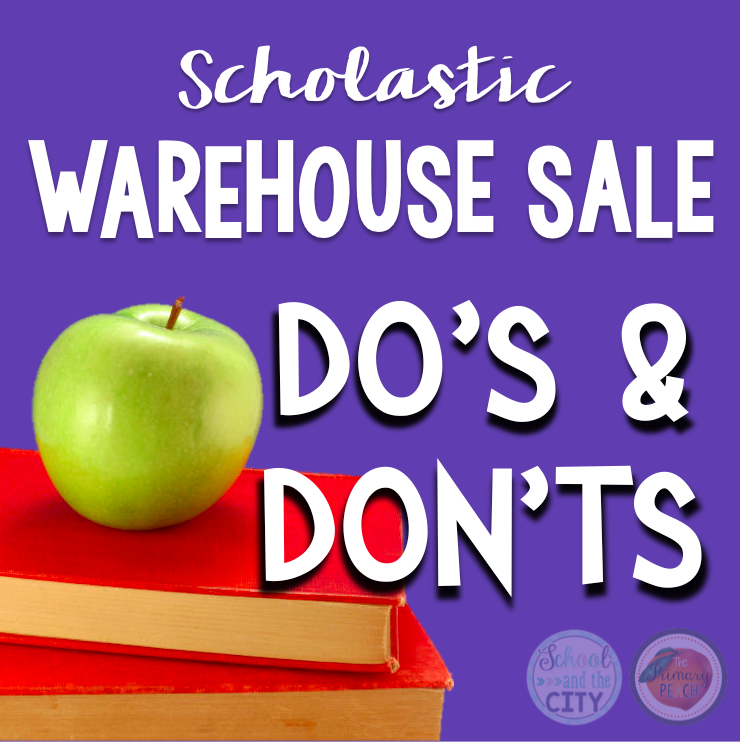 I knew close to NOTHING when I walked into the warehouse for the first time, even after Googling "Scholastic warehouse sale advice" (to no avail). I suppose I'll share my suggestions with you before I start making my shopping list for the December event! DO locate a warehouse sale near you and write it down in your planner or on your calendar (or tell Siri to do it for you). DON'T wait until the end of the sale to stock up, like I did. When I went to a sale, I went on the last day of a 10-day sale at my local Scholastic warehouse. Although I certainly had no trouble stocking up on books for my classroom library, all of the best deals were advertised on empty shelves. DO register as an attendee online before going. You will receive and print a "fast pass" meaning you do not have to wait in the registration line when you arrive. Also, your pass will have 2 coupons on it: $10 off $50 and $20 off $100! DO see if your local warehouse offers the "Build-a-Box" option. Basically, they give you a box and you can pack as many books are you can into it and pay ONLY $25 for the whole box of books! What a steal! Given, the box was way smaller than I imagined and you can only "build a box" with books from a specific bargain section. Unfortunately, I skipped out on this but I can't wait to do it next time. Since I attended on the last day, the Build-a-Box section was completely picked over and frankly I wasn't interested in one of those books, let alone enough books to fill a box. DON'T ignore the stickers! Everything in the warehouse is 50-80% off (OMG!) except for items with purple or red stickers. Red stickers indicate the best deals, typically books that are marked down more than 80%... 1 dollar and 2 dollar books. Purple stickers are found with the biggest names ( Junie B, Magic Tree House, etc.) and mean that the book is only 20% off. 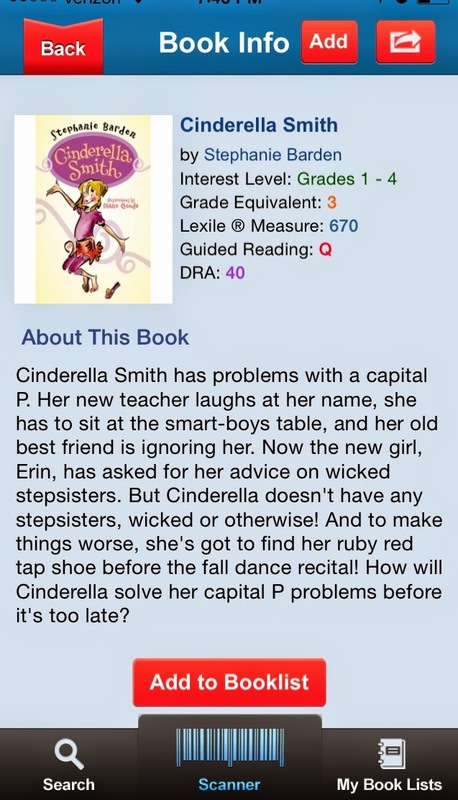 DO download the Scholastic Book Wizard app. With the app, you can scan the barcode on a book and it will give you important information like GUIDED READING LEVELS! This app was the best shopping buddy - I'm so glad that I knew about it before heading to the sale. Lastly, DON'T spend your hard-earned cash when you can pay for your bargain books by volunteering your time. All of the nice ladies running the sale today were teachers from surrounding counties. I can't speak from experience, but apparently volunteers earn $8-10 credit an hour to spend on warehouse books! You can register as a volunteer on the same page that you register as a shopper. I hope that you feel significantly more prepared for your warehouse haul than I did! Good luck! Off to make my list now... can't wait for the holiday sale! I'd also like to invite you to follow along with me at School and the City on Instagram, Facebook, Pinterest, and TPT for more ideas to make your life easier! 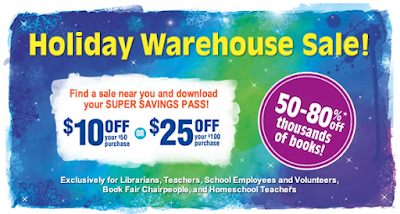 I had never heard of one of these warehouse sales! One is one in my city, and I just signed up. Thanks for sharing. I'll pass the information along.